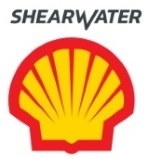 édité le 11/04/2019 - Plus de news de "Shearwater GeoServices" - Voir la fiche entreprise de "Shearwater GeoServices"
Shearwater GeoServices Holding AS is pleased to announce the award of a multi-project marine seismic 3D and 4D acquisition contract by Shell International Exploration & Production B.V.. The contract covers four separate surveys; three in the North Sea and one off the coast of Western Australia. The surveys are expected to provide a total of 5 vessel-months of utilization in 2019.